Palmeiras midfielder Valdivia returned to São Paulo yesterday, having left for Santiago do Chile early Friday morning with his wife Daniela Aránguiz and their two daughters. 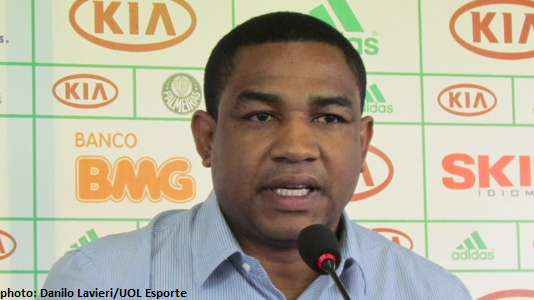 While the missus and children remain in Chile – Daniela recovering from the trauma of the express hijacking the couple suffered last Thursday night in São Paulo – Valdivia today met with César Sampaio, manager of Palmeiras’ football department. 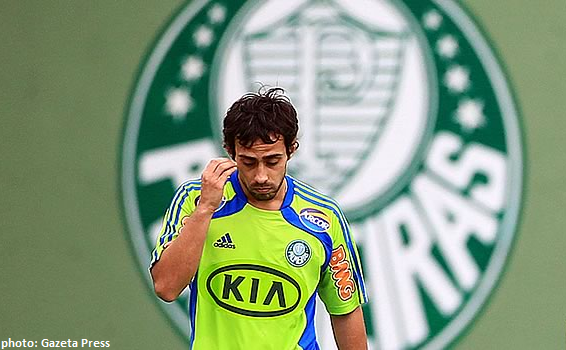 Although nothing was decided in relation to Valdivia’s future at Palmeiras, things do not look too bright. Visibly shook up and, according to Sampaio, crying a lot, Valdivia is far from mentally recovered. The Chilean explained that his wife has no intension to return to Brazil and that he will give priority to the well-being of his family. Valdivia’s father and brother are arriving in Brazil later today to give their support, and Palmeiras have made a bodyguard available for Valdivia in addition to seeking a psychologist to assist in the recovery of the athlete. This coming Friday has been set as a deadline for Valdivia deciding if he wishes to remain at Palmeiras or not; speculations include lending him out to a Chilean club or even negotiating his transfer back to the Arab world. “What we can’t have is a ‘Yes’ from Valdivia, but a ‘No’ on the pitch. That won’t help the group, but install insecurity and fear”, Sampaio clarifies. “Any situation comes with a cost, there’s an equation to be solved. There’s our investment, the partnerships. The Club have the power to force him to stay, to say no, make him honour his contract, but I don’t see that kind of discussion leading anywhere. If he decides he wants out, our judicial and financial departments will have to work on a solution. But I will do my outmost to make him stay”, Sampaio concludes. Yesterday night, Valdivia spent a few hours with the police, giving more details on the hijacking and identifying the criminal caught on tape by a surveillance camera: the police are soon to release the image in order to speed up the investigation.